Whether life imprisonment without remission is constitutionally valid? Whether Supreme Court can impose life imprisonment without remission? This question was raised by Fali S Nariman. Earlier the Supreme Court had made it clear that in order to balance the scales of justice by imposing life sentence without remission the convict would spend rest of his life in prison.The power of remission is conferred with State and Central Government by the Constitution of India. Award of life sentence without remission has raised a serious legal and Constitutional question - can the Supreme Court take away the constitutionally conferred power on governments to remit sentence of a lifer after he/she has served 14 years in jail? 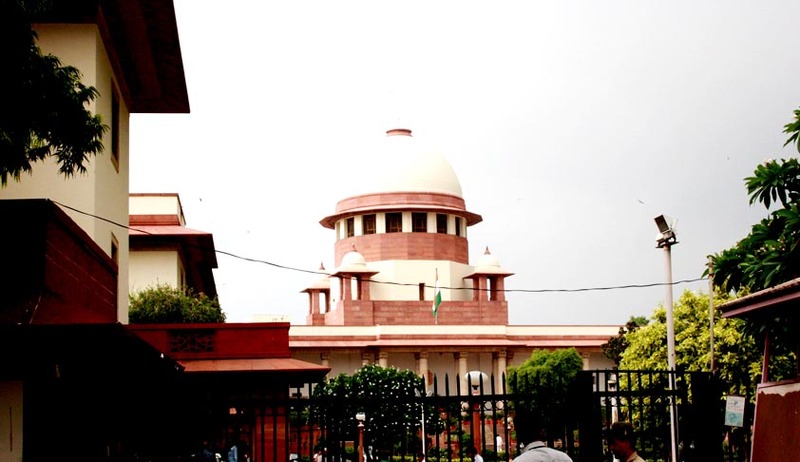 A bench of Chief Justice P Sathasivam and Justice Ranjan Gogoi agreed that the question needed to be referred to a five-judge Constitution bench and posted it for hearing on April 30. This question acquired its importance in Swami Shraddananda case. His death penalty was upheld by the High Court. But on Appeal Supreme Court gave a divided opinion,Justice S B Sinha preferring life sentence without remission and Justice MarkandeyaKatju upholding death sentence.He was sentenced to death by trial court of Karnataka for murdering granddaughter of former Dewan of Mysore who was his wife. In 2008, a three-judge bench of Justices B N Agrawal, G S Singhvi and AftabAlam unanimously endorsed Justice Sinha's view and said: "We accordingly substitute the death sentence given to the appellant by the trial court and confirmed by the High court by imprisonment for life and direct that he shall not be released from prison till the rest of his life." In a Writ Petition filed by Subash Singh Thakur earlier, Nariman had probed the Constitutionality of the higher judiciary’s decision to order imprisonment of a person for life without remission.While admitting the petition for hearing, a bench of Justices H S Bedi and R M Lodha had on 6April, 2010 said:"The basic issue raised by Nariman in this case is whether the direction of the Supreme Court in Shraddananda case that imprisonment of life would mean imprisonment till the rest of the life encroached on the legislative field as it ignored the provisions of Article 21 of the Constitution and Sections 53 to 55 of the Indian Penal Code and Section 433A of the criminal procedure code.". It is another matter Tamil Nadu Government order the release of three convicted by remitting the rest of their life term on the ground that they had already served more than 20 years in prison. The Supreme Court had to intervene to stay the impending release.